That brilliant Canadian writer Margaret Atwood was quoted some time ago ( in the UK’s Guardian newspaper) as remarking drily that “wanting to meet a writer because you like their books is like wanting to meet a duck because you like pate”. Bearing this in mind, I very tentatively approached the USA writer Thomas Moore (whose books I like…. ), who was giving an evening lecture in Glasgow recently on the topic of “Care of the Soul in Medicine”, his latest book. Having read and appreciated two of his other books, “Care of the Soul” and “The Soul’s Religion”, I wanted to ask him whether an astrological perspective was part of his broad and deep influences, rooted as they are in his studies of the world’s religions, his teaching of Jungian psychology and art therapy, and his work in music and art, as well as his practice as a therapist practising ‘care of the soul’. I suspected that it had – which he confirmed, having in fact written another book called “The Planets Within” which I have not yet read. I found meeting Thomas refreshing and cheering – found him humorous, laid back, wearing his erudition lightly. His very informal “lecture”, very much open to audience participation, was timeous in its theme: the importance of healing the whole person, rather than simply treating the body, within the health care system. Timeous because of revelations in the UK press, in the very week of his talk, concerning the lack of compassion and due attention paid to individuals’ emotional needs and their dignity in too many instances in too many hospitals. These revelations caused shock and much impassioned discussion and comment in the UK, which really values the NHS, appreciating all the good work and quality care which is also provided by hard-pressed nurses and doctors in a system increasingly squeezed by financial constraints and driven by mechanistic targets and bureaucratic box-ticking – all dehumanising. Thomas made many important points, leaving us with much food for thought. 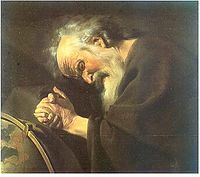 He emphasised – as the Greek philosopher Heraclitus had done thousands of years ago – the mysterious, fathomless depth of the human soul, observing that in both his life and his work “I like to honour the mystery”. He pointed out that there are various simple but profound ways to nourish the soul: the key, it seems, if you distil the essence of several thousand years of cross-cultural wisdom, is friendship. “Soul is about your friends”. He made the point that friendship can range from a twenty-second friendly exchange, eg with the man or woman looking after the toilets in the local park (my example), to deep relationships that stretch over decades. He would like to see much more of this general friendliness across the whole of our society, including between “patients” and “professionals”. His view is that one does not have to set aside necessary professional boundaries in order to have this kind of exchange, and that professionals being less guarded and more open to the common humanity which links us all, could make eg the relationship between eg “patient” and “carer” much more nurturing on both sides. He also stressed the importance to us all of a sense of being in the right place, of feeling that where we live is “home”. (Apparently the origin of the word “home” is “I am”) Soul nurturing also lies in the deep pleasures of “ordinary” life – cooking, shared meals, music, connection with Nature – and in his case, window shopping! I went along to Thomas Moore’s lecture with my friend and colleague, psychology researcher Emily Cutts. We left – having met and chatted with several old friends and acquaintances who were also there – feeling cheered, refreshed and uplifted. Judging by the snatches of conversation around us, and the general atmosphere of the departing audience, it was a view shared. Thomas, haste ye back! This entry was posted in 05 - New Posts: October 2011 onwards, Health and Wellbeing (article archive) and tagged Care of the Soul, Emily Cutts, Glasgow, Guardian newspaper, Health, Johannes Moreelse, Margaret Atwood, Shopping, Soul in Medicine, Thomas Moore, United States. Bookmark the permalink. She certainly was! Thanks so much for this reply – I have subscribed to your interesting-looking blog and will be back to read some more. Thank you Bob and Anne for writing about Thomas Moore’s Glasgow stop. I hope he has opportunities to speak in Scotland again. Thanks Barque! It’s always a pleasure to be able to promote the work of people like Thomas who have truly valuable insights to share. I, too, hope he will be back to our part of the world before too long.